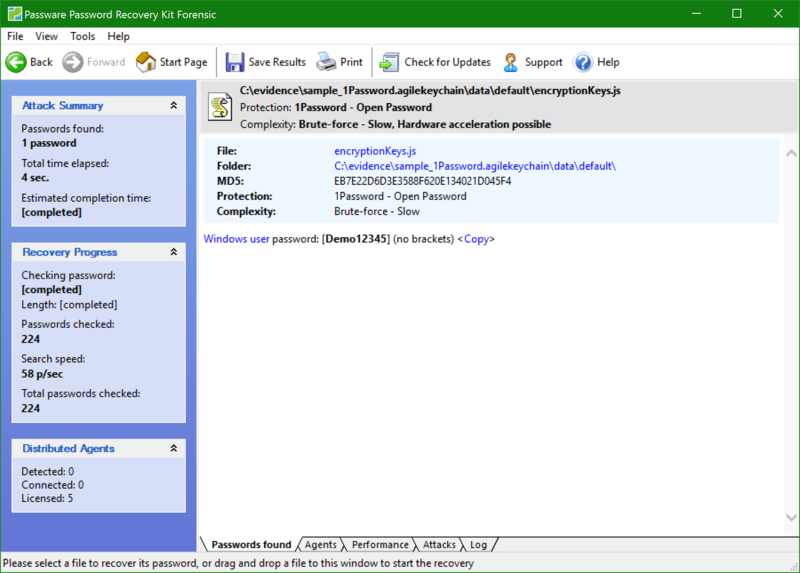 Password recovery for 1Password for Windows keychains using GPU-accelerated brute-force attacks is now supported. Password resets for Windows Server 2016 users, administrators, and Active Directory users are now supported. Decryption of BitLocker and TrueCrypt volumes after a successful password recovery attack is now supported. Updated download algorithm makes iCloud data extraction faster.